Beyond the localization of sound sources, it may be necessary to define acoustic targets for suppliers to meet specifications, or to update a simulation model. 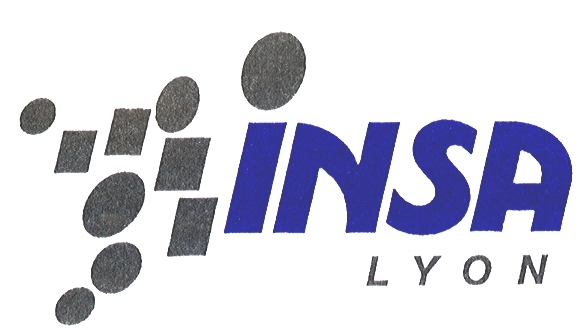 In test benches, ISO 3744 and 9614 standards respectively define the procedures to determine the overall sound power of a product using sound pressure and intensity. To go further and decompose the sound power radiated by components or sub-surfaces, MicrodB provides acoustic holography methods for flat surfaces or a Generalized Acoustic Holography (GAH) for complex 3D surfaces. When a system or product does not meet design limits, does not meet the requirements of its sound level or simply is generating an unwanted noise, it is necessary to understand and resolve these issues. 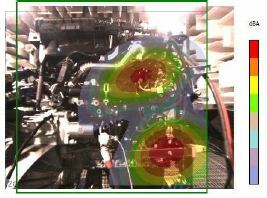 The understanding of the noise generation mechanisms, source locations and subsequent solutions is often difficult and complex and can be best resolved using a test bench. MicrodB is able to utilize our experts and techniques to resolve these issues for our clients. Whatever the environment of a test bench, tools or expertise, MicrodB allows our clients to view the main sources of noise and efficiently act on them to reduce noise. With measurements and real-time analysis, modifications can be tested in situ and evaluated in a very short time, reducing development costs. 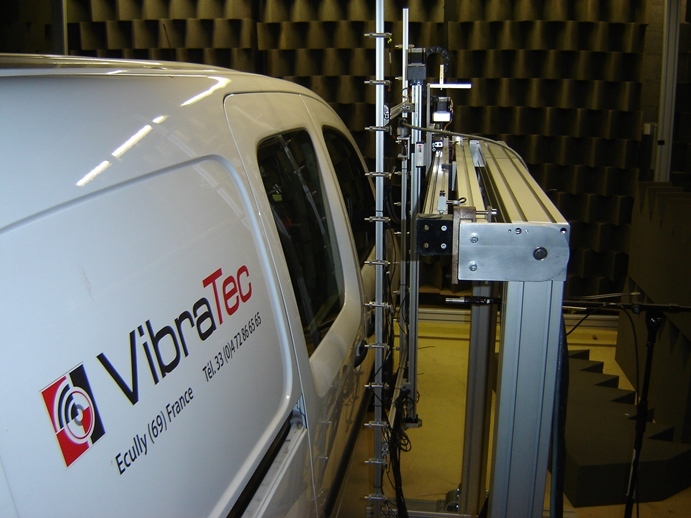 When trying to optimize vehicle trim, measure panel transmission loss in situ or detect acoustic leakage, it is often useful to determine characterization in a faster, more user-friendly and efficient manner than sound intensity probe measurements coupled with with acoustic shielding. MicrodB proposes several methods to achieve these aims: Acoustic holography for flat surfaces or Generalized Acoustic Holography (GAH) for complex 3D surfaces. These methods can be used in acoustic chambers or directly on a vehicle. The imaging methods used have the advantage of reconstructing the complete sound pressure field on panel which makes it possible to define sub-panels and decompose the panel as finely as required. How do you optimize the acoustic comfort of a vehicle? Which area of the vehicle should be treated as a priority? What increase in the sound pressure level is to be expected when an acoustic treatment is applied? The tools and expertise of MicrodB make it possible to estimate the acoustic contribution of panels on a measurment location. The methods used provide an identification and a characterization of the noise sources in a single measurement in a matter of seconds. 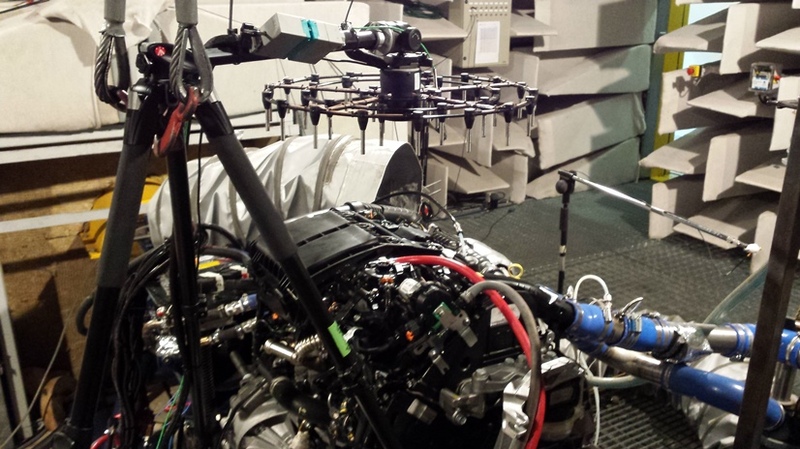 This makes it possible to use it for tests in real conditions (running conditions, flight tests etc.) 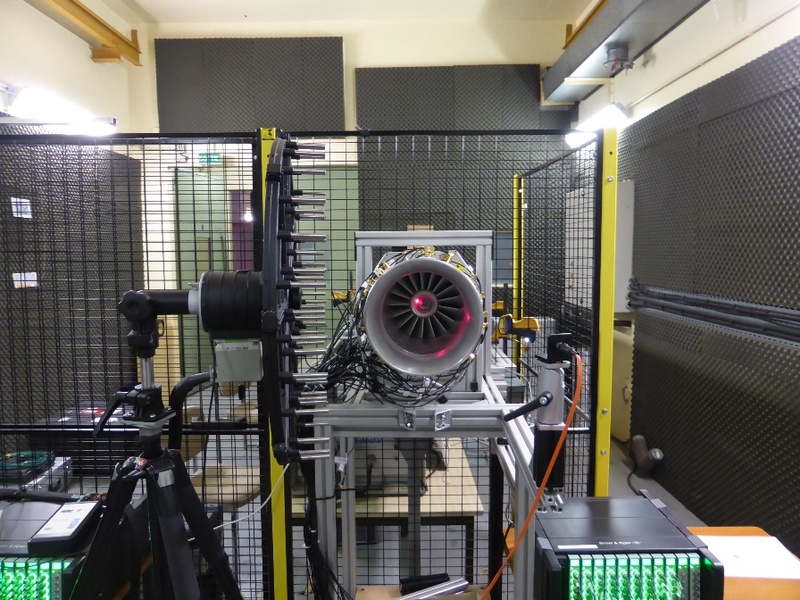 or during wind tunnel testing, thus drastically reducing the cost of such expensive testing conditions. 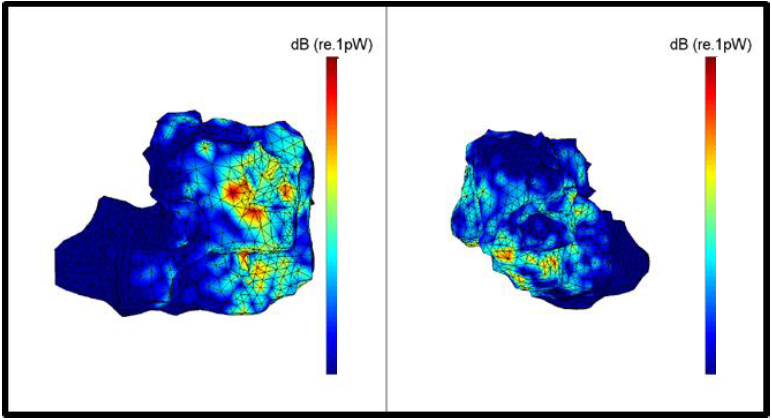 The knowledge of the acoustic contribution from panels provided by MicrodB tools allows the client to estimate the noise level reduction introduced by a specific treatment or compare the influence of different modifications. This provides conclusive information with regards to the selection of modifications in order to reach a specific noise level target. Need to reduce turbomachinery noise? Looking to optimize duct acoustic treatments? 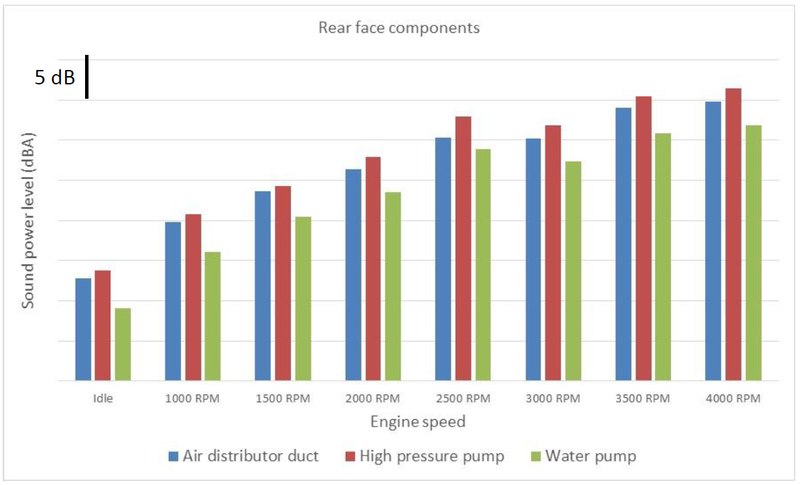 Require an evaluation of the noise produced by a ducted fan? Answering these questions requires a thorough knowledge of the sound field within the duct. Working in partnership with research laboratories (LMFA, LVA), MicrodB has developed an advanced method of in-duct mode decomposition. Controlling modal weight in an optimized manner. Improving / optimizing interior cockpit / cabin comfort of a vehicle regarding external aerodynamic effects? Improving / optimizing the external acoustic radiation of HVAC system? An advanced knowledge of aerodynamic (aeroacoustics) noise generation is essential in treating these questions. In partnership with research laboratories (LMFA, LVA), MicrodB has developed solutions and skills to enable aeroacoustic source ranking. 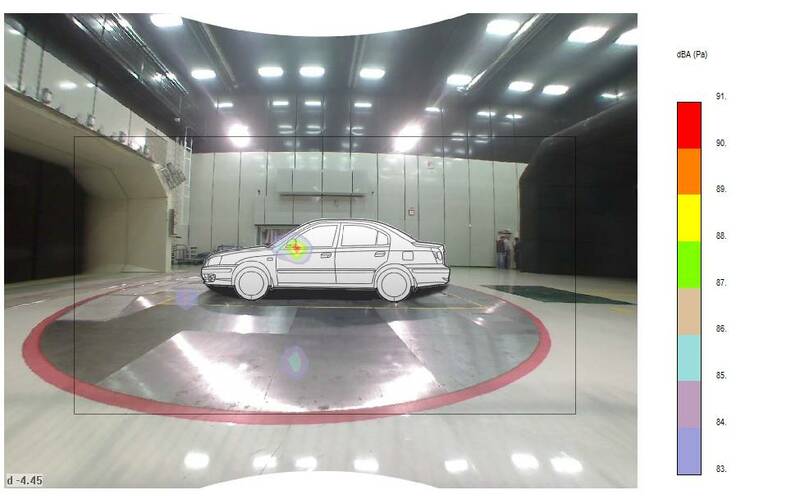 For automotive industry in open wind tunnel with acoustic treatment, the use of out-of-flow array permits to identify Wheel/Side mirror/A-pillar/Wiper sources. The post-processing can use the coupling with in-cabin reference signals (coherence method) and internal (in-cabin) array(s) to better analysis the exterior/interior transfer path (identification of seal weaknesses for example). 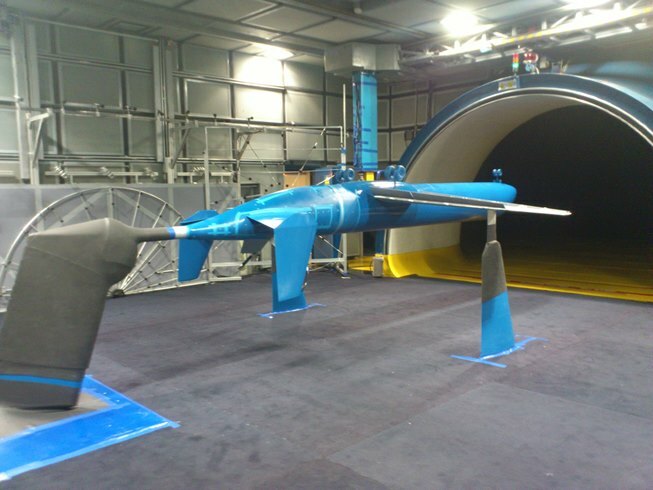 For aerospace industry, the use of out-of-flow array(s) in an open wind tunnel or wall-mounted array(s) in a closed wind tunnel (without an acoustically treated chamber), the identified airframe noise sources are the leading edge and trailing, flap, landing gear / propeller and coaxial rotors. The acoustic diagnosis of blowers, fans and HVAC systems with the identification and separation of fixed and moving (rotating) sources applies for all industries. The processing can imply dedopplerization and leads to the separation of leading edge and trailing edge sources. MicrodB also offers skills for the identification of aerodynamic loadings (wall pressure fluctuations) in order to separate the acoustic components (acoustic transfer through walls) from aerodynamics (wall vibration). Array techniques allow further analysis based on the spatial separation of sources and the study of their acoustic contribution. Thus, to reduce noise levels to correspond to lower thresholds, it is necessary to know and understand the most detrimental components. 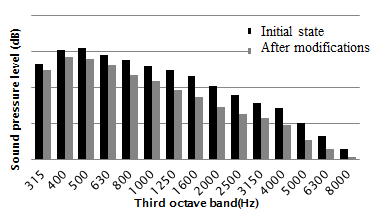 The array techniques in pass-by noise can be performed using measurements from a variety of sources: dynamometers or tracks for ground transportation, but also underwater hydrophone networks or on-the-ground measurements for aeronautics. For all these measurements, MicrodB can provide the most suitable array for each environment. 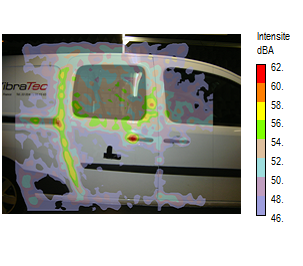 During post-processing, various algorithms can be implemented: source separation using coherence or blind signal separation, beamforming including de-dopplerisation, deconvolution to highlight the acoustic sources of mechanical, hydraulic or ventilation origin contributing most to the overall sound. MicrodB offers a wide variety of acoustic knowledge in various fields thanks to the research and development carried out in recent years with academic partners in projects with TRL 3 and 6 rankings. This work is sometimes supported by manufacturers who integrate these developments into their processes. MicrodB skills in mechatronics, signal processing, measurements and software development serve to design complete industrial tools including presentation of results via technical reporting. Our small but highly reactive and competent team is available to develop specific products or services to suit our clients’ exact needs and requirements. 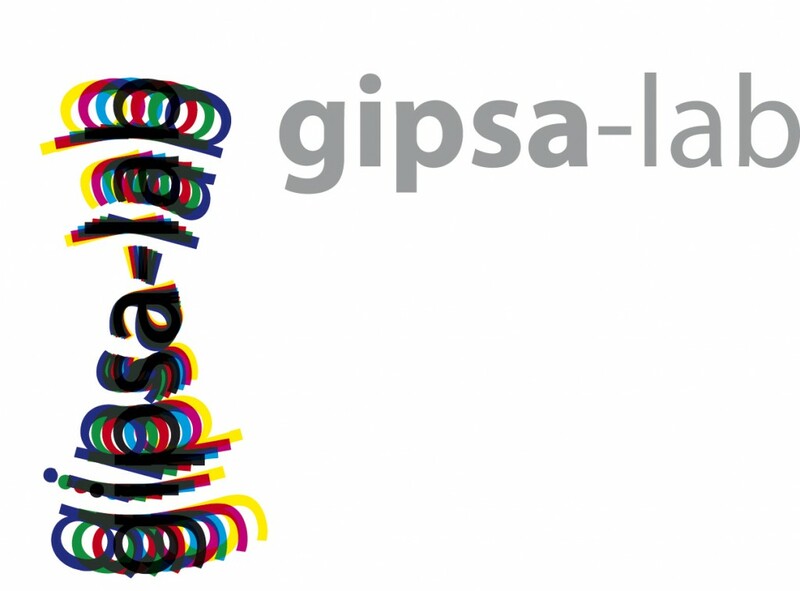 Published the 3rd of November, 2015: Benoit OUDOMPHENG, in collaboration with the Gypsa Lab – New acoustic imaging processing methods for few sensor antenna. 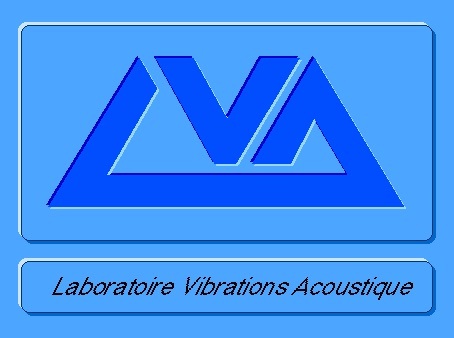 Published the 11th of February, 2016: Thibaut LE MAGUERESSE, in collaboration with the LVA and LAUM – Multidimensional unified approach of the inverse problem of acoustic identification.